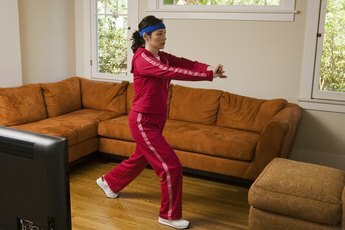 You can use your body weight to estimate your daily calorie needs. The single most important—and perhaps the most difficult—thing you can do to achieve or maintain your desired body weight is to control your calorie intake. Unfortunately, over 64 percent of women in the U.S. are overweight or obese, according to Weight Control Information Network. It’s hard to determine the exact number of calories you need each day; but your body weight is a good indicator or whether or not you’re close. Your weight and height can help you determine your body mass index, or BMI, which is a good estimate of your amount of body fat and disease risk. If your BMI is within a healthy range, chances are you’re consuming the right number of calories every day to meet your body’s needs. According to the Centers for Disease Control and Prevention, you can calculate your BMI by multiplying your weight in pounds by 703, dividing that number by your height in inches and dividing that number by your height in inches again. For example, a woman who is 5-foot-5, or 65 inches tall, and weighs 140 pounds has a BMI of 23.3. BMIs of 18.5 to 24.9 are considered “normal,” or healthy, according to the CDC. General calorie recommendations—although they may not apply to every woman—can help you estimate your approximate daily calorie needs. The Dietary Guidelines for Americans 2010 estimate that active women need 2,000 to 2,400 calories, moderately active women require 1,800 to 2,200 calories and sedentary women need about 1,600 to 2,000 calories per day, depending on their age. Older women—especially women over age 50—need fewer calories to maintain a healthy body weight than younger women with the same activity level. With the exception of very muscular, female athletes, if your BMI is 25 or above you have a higher risk for developing certain health conditions, such as heart disease, obesity and diabetes. 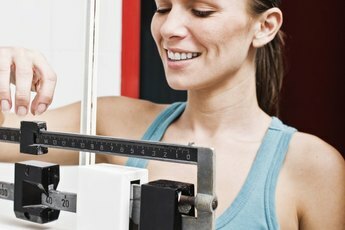 Adjusting your calorie intake is perhaps the best way to reach your ideal body weight. Start by making subtle changes, for example, reducing your portion sizes, cutting out sugary drinks and reducing—or eliminating—sweets. A simple way to determine your calorie needs for weight loss is to multiply your ideal body weight—in pounds—by 10, according to the University of Washington. For example, if you want to weigh 120 pounds, aim to eat 1,200 calories per day to reach that goal. Don’t drop below 1,000 calories per day unless you’re supervised by a doctor. 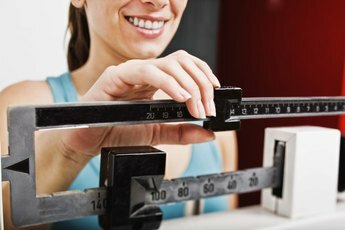 You can also use your body weight to estimate your calories needs for weight maintenance--especially if your BMI is within a healthy range. Harvard Medical School reports that active women need 18 calories per pound of body weight, moderately active women require 16 calories per pound and sedentary women need about 13 calories per pound of body weight each day. So, if you exercise at a high intensity on a regular basis and you weigh 130 pounds, you’d need about 2,340 calories per day to maintain your weight. 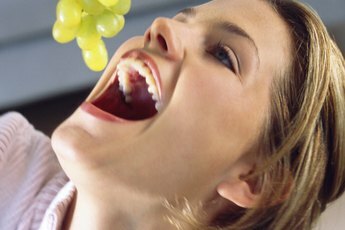 How Many Calories Should a 150 Lb Female Consume Daily?